Dart Valley Systems (DVS) are market leaders in automatic washroom products that help save water. Dart Valley Systems automatic washroom controls includes an extensive product range that reduce water consumption and offer high quality hygiene facilities. Automatic washroom controls are water saving products that manage water flow accurately so there is no waste. 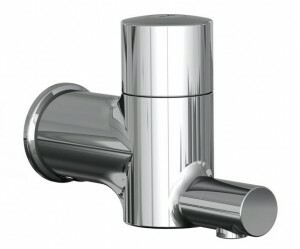 These solutions are cost effective and the design of the products offers maximum hygiene levels. DVS offer a comprehensive range of controlled water dispensing solutions for commercial washrooms, HTM & HBM compliant healthcare products and a specialised range of anti-ligature (high security) washroom products. All DVS products come with extensive installation support and specification advise. Dart Valley Systems offer a wide range of products including automatic no touch taps, safe ensuites, anti-ligature washroom controls, urinal controls and a number of other washroom controls. Centered around reducing water consumption and hygienic design the water saving products are suitable for demanding applications such as healthcare, mental healthcare, custodial and public sector markets. Dart Valley Systems provide a wide variety of anti-ligature products that are widely use in buildings where people may harm themselves for example prisons and hospitals. To ensure suitability the products need to be carefully designed so they blend in with the surrounding environment. Designed to extremely high standards and to stand the test of time the range includes anti-ligature shower heads, automatic flush valves, wash basins, and automatic no touch taps. DVS are market leaders in providing high security automatic washroom control solutions. Dart Valley Systems AquariTherm Tap is designed with infection controls suitable for healthcare environments such as hospitals and care homes. The AquariTherm’s patented isolation feature makes cleaning or maintaining the tap easy as the water doesn’t need to be isolated nor do the panels need to be removed. T&D were established in 1985 and are now one of the largest Dart Valley Systems distributors and stockists – we provide expert technical support, competitive quotations and international delivery for water saving products and leading automatic washroom controls. Next Day Delivery From Stock – as a key distributor T&D can provide next day delivery from stock for all of the DVS automatic washroom controls range. T&D are worldwide exporters of Heat Tracing, Heat Meters, Process Heating, Measurement & Instrumentation, Fluid Control Equipment, Leak and Gas Detection Systems. Dart Valley Systems are a market leader for water saving products and have provided WRAS approved solutions for specialist applications with a focus on hygienic design for over 25 years. T&D International are Main UK Distributors for DVS Products.